So the road from the service was a little bumpy, mostly from my own choices but I'm still happy with the end result. I did think about continuing a career with the military but I had two choices, either suffer in anonymity a few years on board a carrier until I found my footing and began an upward trend again, or work with the Marines. Many will not know how badly I wanted to push that limit and go head long into the second option. I even went as far as to get in contact with the Senior Chief in charge of bringing new individuals in and began to lay in a plan to get in shape to make the transition from ship board life to land. 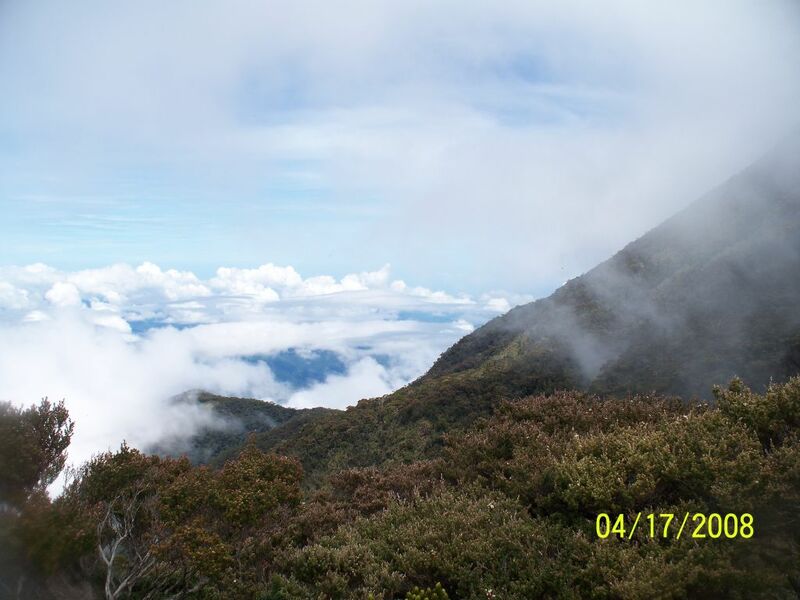 I think I really didn't realize that I could not accomplish the task I had set out to do until I made it to Borneo and attempted to ascend Mount Kinabalu. I mere 3.5 mile climb broke any illusions I had on what my physical conditioning level was. I don't mean to make lite of the climb, but the path is very well maintained and basically allows you to maintain a walking stride all the way up past the summit gate. Unfortunately I was the main reason the group I was with didn't make it past the gate and all the way to the summit and to this day remains one of the few regrets I have from my days in service. Now, most will rightfully assume that just improving physical conditioning would allow me to meet the goal for the future. Two road blocks stood in the way of that, heart, and surprisingly enough, jaw. I was taking a test to insure that I maintained the capability to be trusted with sensitive materials when the individual in charge of my test asked when the last time I had done a physical. I was preparing to go on deployment and had just undergone a medical physical plus had done a physical test with the rest of my shipmates just a few weeks before to ensure I was fit to go to sea and told him so. Seems the test had detected some abnormal heart rhythms (Premature Ventricular Contractions). I took that information to my Corpsman on board the ship, they assured me that they did not hear anything that alarmed them. The seed of doubt was already planted though. Reading through the information about PVC's I drew little comfort in my own bodies ability to maintain the physical capability it needed. The next road block sealed the deal though. As already stated I've gone through the process to diagnose sleep apnea. The scans of my throat show what I'm breathing with and putting food down is 4 millimeters wide(.4 centimeters). Normal individual's openings are around 14-16 millimeters(1.4-1.6cm, research has shown that this is even a little narrow, 2-3 centimeters is ideal/normal). Now that I've gone through the reasons that I left the service I'll continue to go through pictures and get some posts up detailing my trip back home. Sorry the post is a bit late, still a bit ill. Just got done helping my future wife do some registering today as well.